Thank you for visiting this page. One of the initial challenges of cabinet making is the design phase. Adequate designing and planning may take hours of critical time away from construction. But don't worry I have phased all that out and have made all plans available to you for free. Please download the following files so that you begin the construction of your very own beautiful cabinet such as the one shown in the video. Cabinet Plans, Exploded Diagram and Tools & Finishes needed- Click here! Computer Animated Construction Sequence - Click here! Google Sketchup files/models/parts & assemblies - Click here! 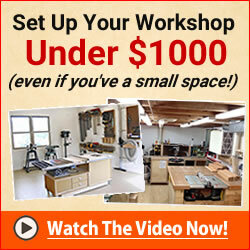 Secret Woodworking Bonus - Click here!